Outer Banks, NC Park rangers at the Cape Lookout National Seashore contacted the U.S. Marine Corps after a civilian found a munition related item on the beach. 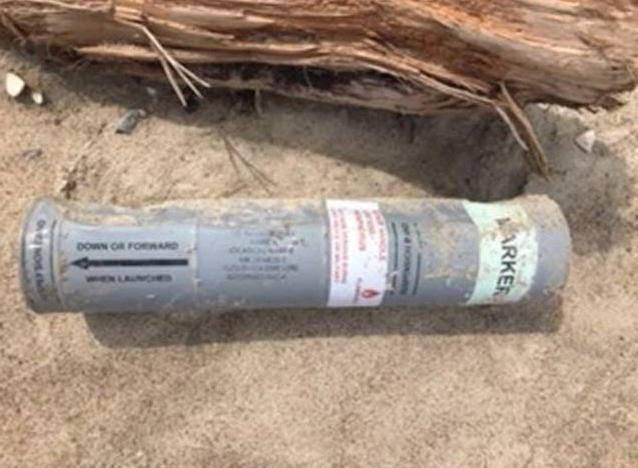 EOD responded and identified the item as a canister for a marine marker. The item did not present a hazard but was removed from the area by EOD for proper disposal. Park Rangers reportedly shared photos on Facebook of the find. Isle of Wight, United Kingdom A suspected UXO item found along a path in a nature preserve between Chale and Whale Chine was reported to the Needles Coastguard Rescue Team (CRT). An exclusion zone was established as the CRT awaited for a Royal Navy EOD team to respond. Gaya Island, Malaysia Grave diggers at the village cemetery in Sabah found a UXO while preparing a grave site for a recently decreased village resident. The workers called the police to report the find. Telarah, Australia A real estate agent inspecting a vacant property found a motorcycle and an unmarked box left the property. The agent suspected that the motorcycle may have been stolen and was about to contact the police when they looked inside the box and found a variety of munitions. The agent called the police who responded with technical support from a Royal Australian Air Force (RAAF) EOD team. The munitions were inspected and reported to be inert shell casings (type not reported). The items were removed from the house for proper disposal. Police also seized the motorcycle for further examination. 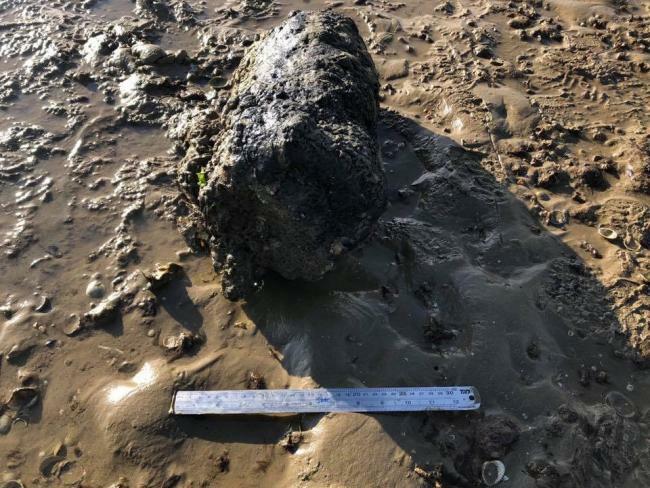 Essex, United Kingdom The Southend recreational pier, a popular tourist attraction, was temporarily closed for two days after the discovery of a UXO item approximately 30 meters from the pier. 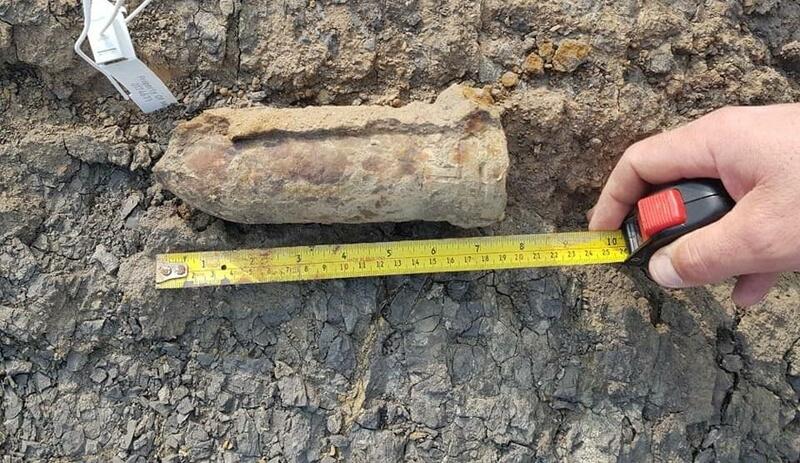 A Royal Navy EOD team responded to remove the WWII era munition shown below (specific type not reported). Lexington County, South Carolina Deputies on the Lexington County Sheriff's Department Bomb Disposal team were called to a residential property after the resident requested assistance with an ordnance item. 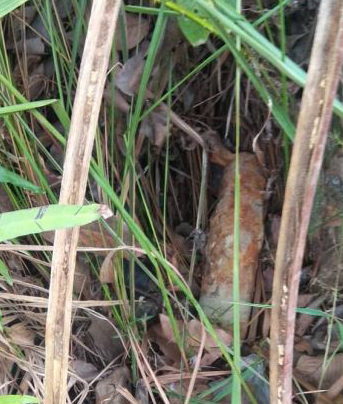 The resident told authorities that the round, identified as a WWII era 40mm anti-aircraft round was a souvenir that had been in the family for decades. However, recently a friend of the family thought the round was live and encouraged the owner to call the police. As it turns out, the bomb disposal team did find that the item was indeed live. The item was safely removed from the house for proper disposal. 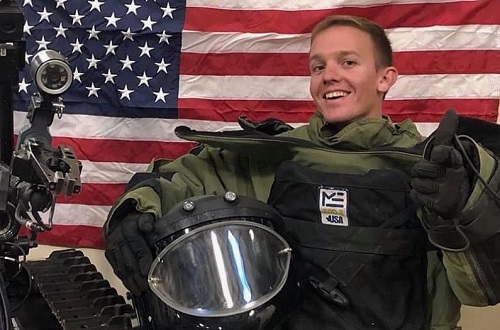 Kunduz Province, Afghanistan EOD SPC Joseph Peter "Joey" Collette of Lancaster, Ohio assigned to the 62nd Ordnance Company EOD, 242nd Ordnance Battalion EOD, 71st Ordnance Group EOD, 20th Support Command (CBRNE) was killed in action. Collette was attached to an Alpha Detachment, 2nd Battalion, 10th Special Forces Group (Airborne) when he was killed in the during joint operation with Afghan 10th Special Operation Kandak Commandos forces against the Taliban.